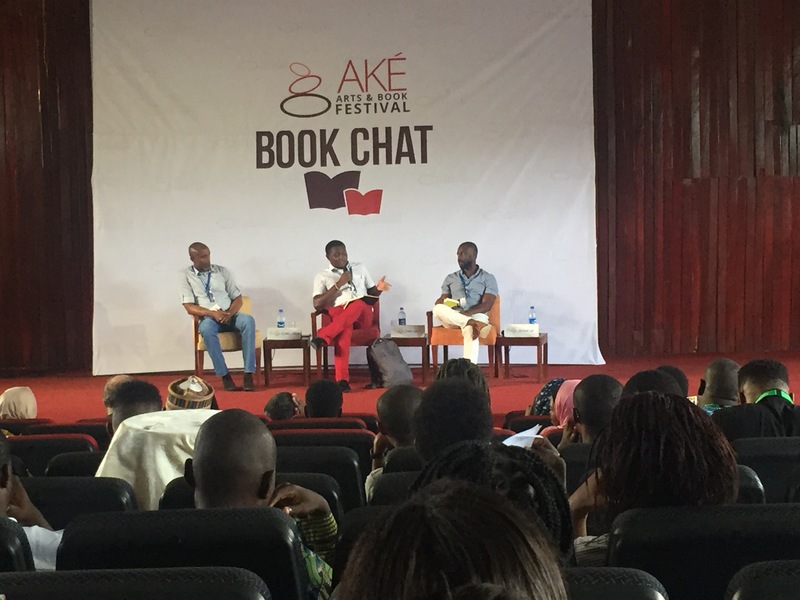 #AkeFest2016: Where Does Time Go? – Stuff Phidelia writes. Time is going by too fast. That’s the thought running through my mind when I wake up on my 3rd day at Abeokuta. I wonder how it’s the third day already. My friends – Ayodeji, Jite, Amara and Eromo will arrive later today and I’m excited to see them. I spend the morning having breakfast and heated literary discussions with Chinenye. Later on, I meet Yusuf, the stage manager for the stage play that will hold on Friday. We talk for a few hours and have lunch together. I decide to take a nap when he has to get back to work. Just then, Jite calls me, they’re here. After sorting out their accommodation shenanigans, we spend hours eating and talking and talking some more, until it’s time to head out for the musical concert at Aké festival. Brymo is headlining the concert and that is the highlight of my week. Falana opens the show with a beautiful soulful rendition while playing first the guitar, then the Cajon. After four amazing songs, she introduces Adunni and Nefertiti to the stage, a band of female singers. I don’t know what to expect when they get on stage, but I do know what I’m feeling when they start singing and it is awe. Four women singing soulful songs in perfect harmony. 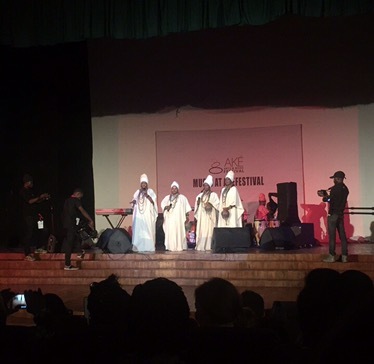 They sing songs from various tribes in Nigeria and when they render a sorrowful bini song, I have tears in my eyes. After a few songs, it’s time for Brymo to grace the stage. As a huge Brymo fan, my excitement level is at its peak. His performance is electrifying for me and at the end of it, I’m surprised I haven’t lost my voice from all the screaming. Chinenye and I take a selfie with him before heading out. Chinenye, Jite, Amara, Ayodeji, Eromo and I share some drinks before heading back to the hotel for the night. As I drift off to sleep, that thought caresses my mind again. It’s not a very fun day for me today. I wake up pretty late considering the opening ceremony starts at 9:30am. Still, I manage to spend a couple of hours lingering over breakfast and conversations with my friends. We arrive at the cultural center late for the opening ceremony but still manage to catch Titilope Sonuga’s performance of her spoken word. After that, the first book panel begins featuring Jowhor Ile with his book ‘And after many days’ and Odafe Atogun with his book, ‘Taduno’s song’. This is exciting for me because Jowhor is an old friend. They both read excerpts from their books and answer questions from the audience. It’s lunch time after that and once again, I eat ofada rice. Even though I’ve been looking forward to attending the next panel on mental health in African writing, I get a mood swing and decide to return to my hotel instead. By doing that, I miss out on two panel discussions and two book chats. I return late in the evening to join the screening of ‘Hissene Habre: A Chadian tragedy’. It’s a French documentary that I had read about earlier and was excited to see but I’m unlucky to be seated at the back. I’m short-sighted and can’t see the subtitles so I can’t really follow the film. Ten minutes after I came in, I walk out, feeling dejected. I sit alone for almost an hour, writing in my journal before Moje joins me. We have a lovely conversation about books, Ake festival and Ibadan. Time flies, and the film ends. I meet up with my friends and we return to our hotel. It’s late but we still squeeze in an hour of drinks and discussions before retiring to bed. I’m sad. Again. Do take care of yourself. Thank you for this. Very creative. Of course I’m wishing I was there. ← #AkeFest2016: A Promising Beginning.